An algebraic surface public-key cryptosystem was developed by Akiyama and Goto. 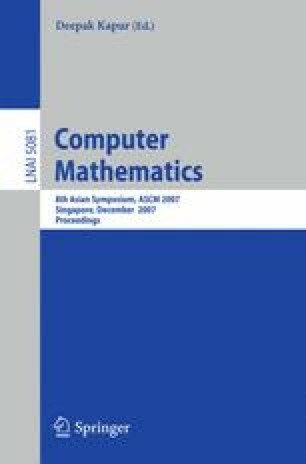 Its security is based on a decision randomizing polynomial problem which is related to a problem of finding sections on fibered algebraic surfaces which can be reduced to solving a multivariate equation system known to be NP-complete. In the case that the defining equation of a surface used for public-key is in a certain form, Uchiyama and Tokunaga succeeded in attacking in the sense of getting plain texts from corresponding ciphertexts using reductions efficiently without solving section finding problem. In this paper, two algorithms applicable to all cases are suggested. One is the generalization of Uchiyama-Tokunaga’s attack from polynomial ring over Open image in new window to polynomial ring over rational function field, and the other takes advantages of Gröbner base techniques so as to deal with in the polynomial ring over Open image in new window .